Updated: Police have identified the pedestrian victim as Steven M. Pierson, 32 of Egg Harbor City. The accident remains under investigation by the Galloway Township Traffic Reconstruction Unit and the Atlantic County Prosecutors Office. 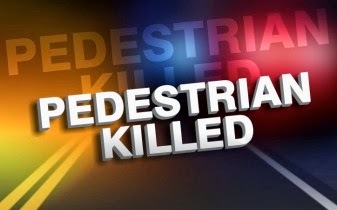 On July 16, 2014 at 1:24 a.m., Galloway Township Police Department responded to a single motor vehicle accident involving a pedestrian on Leipzig Avenue. According to the Police, a 2004 Nissan Sentra driven by Eric Eller, 33, of Galloway was traveling northbound on Leipzig Avenue, between Herschel and Liebig Avenue when he struck and killed a pedestrian crossing the roadway. The pedestrian has not yet been identified. The road was closed for approximately three (3) hours while Galloway Police Sergeant Rich Barber, Officer Steve Garrison, and the Atlantic County Prosecutors Office investigated the scene. No charges have been filed as of yet, pending further investigation. If anyone has any information please contact the Galloway Township Police Department at (609)652-3705. How many deaths on Galloway roads is it going to take for the GTPD to do something? We are tied with Newark for the most traffic deaths for a single municipality in the state. Our police department's answer? Accidents happen. Give me a break! Get up and do the job that the residents expect you to do! My prayers go out to whoever this person is that was struck and killed. Wait, what? The facts of the accident are not even out yet and you are looking to blame the cops?? I am not even a cop and I am insulted that you could blame them for this when you have no idea of what happened. My god, at least wait to see what happened before you assign blame. I agree. What could the police do to stop it. This is a fairly isolated rural road where you would not expect pedestrians at that time of the morning . Has to be more to this event. Blame the police, what a stupid and unnecessary comment on a tragic accident. I agree with the first comment. To have this many fatal accidents is out of hand. Its called proactive patrolling... Stop making excuses for the GTPD. I feel that both the drivers and the police share equal responsibility for keeping our roads safe. Drivers need to be mindful at all times of their surroundings. At the same time however, the GTPD needs to stop having congregations (2-3 squad cars sitting together). If both sides do those things, one of these fatal accidents likely would have been prevented. Whatever occurred as a result of this accident will never come out, just like every other accident. To insinuate that the victim is in the wrong by saying that "you would not expect pedestrians at that time of the morning" is disrespectful to the victim's family. Hippie was my friend. i know that road very well and im willing to bet the guy who hit him was speeding. r.i.p. steve. RIP hippie Steve. We love you. Cut the driver a break, you don't know what happened. For all you know, he is in mental anguish right now. Very sorry to all involved. I'm related to the driver. Believe me after the shock; anguish and sorrow over this will always be with him. I'm sorry you will never get another chance at the life you loved so much Steve. Even when life was gut-wrenching painful, unfair and downright cruel you still radiated love with a passion for life itself.